From block paving to tarmac, concrete to resin bound - we design and build a range of driveways to suit your style and budget. 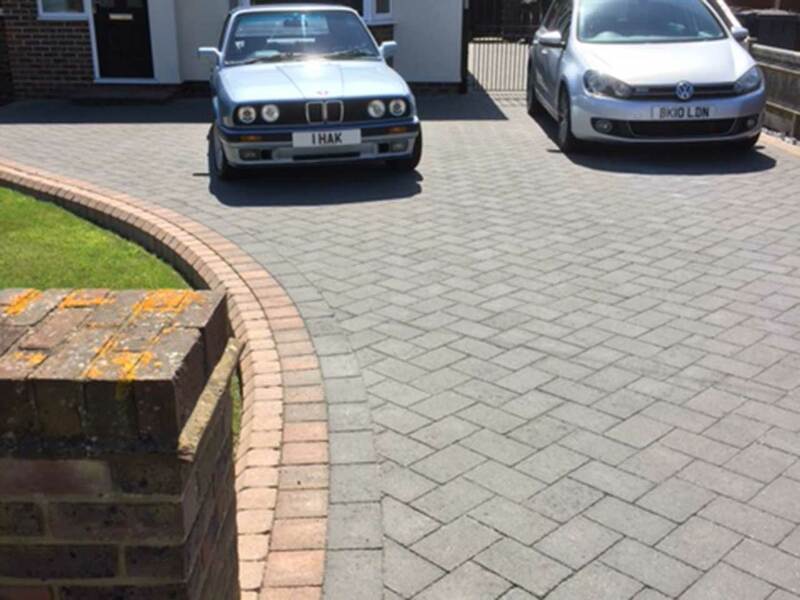 P&D are a family run and highly skilled driveway and paving company specialising in the design and build of new driveways, restoring older driveways, patio and paving installation and groundworks. Our customers, both domestic and commercial, are extremely important to us and we make it our number one priority to ensure you receive the best possible service with a quality end product to match. Fully insured, we work with the latest tools and equipment and are proud members of the Marshalls Register of Approved Landscapers and Driveway Installers and Checkatrade where you can view our many reviews. 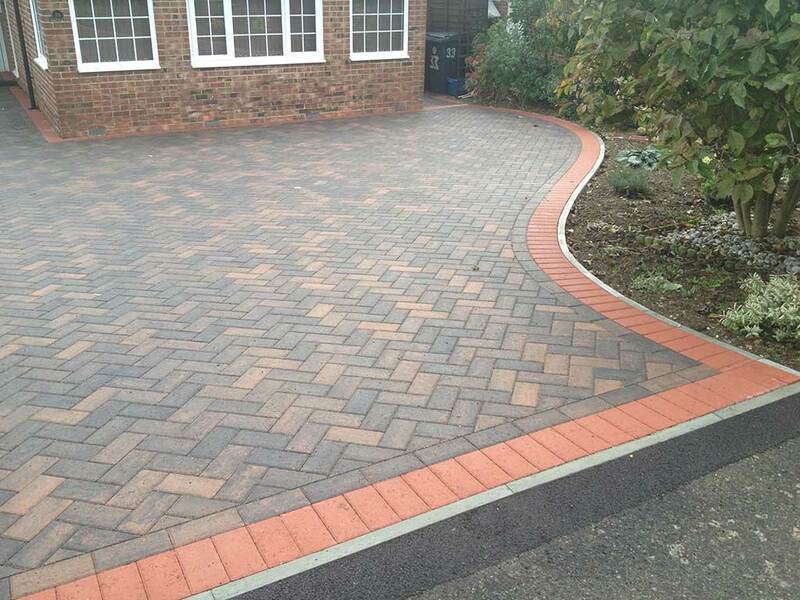 Block paving driveways are cost-effective and the perfect way to improve the kerb appeal of your home or business. As groundwork's experts we have the experience to correctly prepare the site of the driveway to we ensure it stands the test of time and weather conditions. Available in a range of designs, colours and finishes, block paving is both versatile and long lasting. 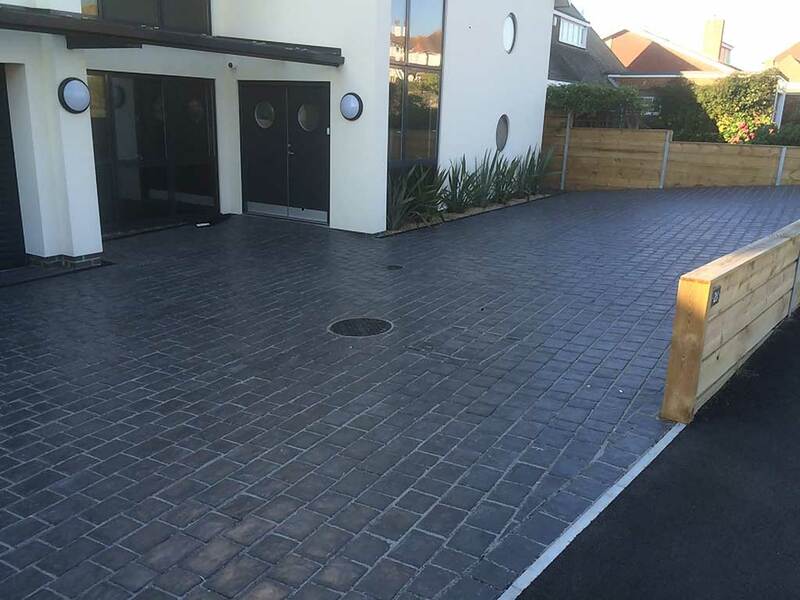 Offering an attractive alternative to block paving, concrete or gravel, resin bound driveways are a versatile product that can be laid on a new base or cover an existing base. Offering quick installation, once the mixture has been laid and screeded an impressive and extremely durable surface is created that is very low maintenance. Different textures and colours are available making resin bound gravel extremely popular with homes and businesses. P&D Driveways offer the most competitive rates within the market and we will conduct a full site survey, completely free of charge, to provide you with an accurate fixed quote. The size of the driveway, choice of materials and labour required, are all aspects that go into calculating the cost of your driveway in Brighton. We also offer a patio installation service and a paving service for new paths. Working with a range of domestic and commercial clients, we have experience working with an array of hard landscaping products. Traditional or contemporary finishes with a variety of colours and patterns to choose from. The team at P&D work with you right from the beginning to the end of your project. Preparing the ground with our groundworks and land drainage service is paramount to any build. Without stable foundations prepared by a professional, it can significantly affect the quality of your new driveway or patio. All of our work carries a full guarantee and we are covered with full Public Liability insurance. For more information or to hear more about our current offer of 10% off any driveways ordered before January 1st 2019 - please contact the team today using the form at the top of this page.